It is with great excitement that Clip ‘n Climb can announce that the brand new BelayMate will be showcased at the Asian Attractions Expo 2018 (AAE), on the 6-8 June at the prestigious Hong Kong Exhibition and Events Centre. At Clip ‘n Climb we are no stranger to AAE, the premier event for attraction industry professionals, and we are back in 2018 to introduce our state-of-the-art automatic belaying technology, the BelayMate to the Asia Pacific market. Always intent on offering the best-in-class experience to clients and end-users, the BelayMate ticks all the boxes for Clip ‘n Climb. It is an innovative and fool-proof safety mechanism that provides a highly-reliable level of safety and security for all climbers. BelayMate connects climbers 100% securely to the Trublue® belay line before they commence climbing, and its unique dual connector system ensures climbers can only operate an auto-belay once their harness connector is completely engaged, improving risk management and preventing accidental recoil of the auto-belay line. 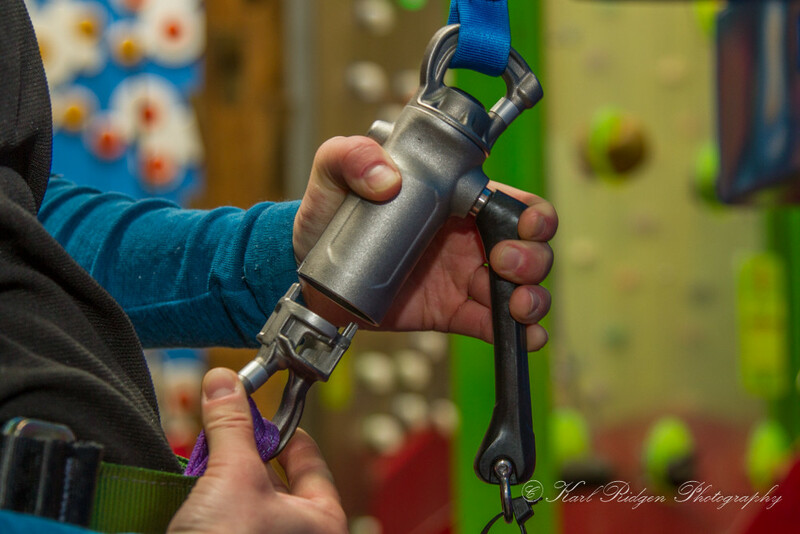 For Clip ‘n Climb owners, this technology is intuitive and simple to use, allowing them to spend more time positively engaging with their customers and improving the climbers experience, allowing the climbers to climb more and require the help of staff less, thus reducing staffing costs. BelayMate is manufactured in stainless steel and can withstand 2.2 tons. Developed in New Zealand in 2005, Clip ‘n Climb brought the niche sport of indoor fun climbing to a much wider market, and is expanding globally, with currently 175 centres across the globe. By using state-of-the art automatic belaying technology, we are able to offer a fun and healthy challenge to everyone. We would be glad to welcome you to Booth 3335 at the Asian Attractions Expo 2018, where the founder of Clip ‘n Climb, John Targett will be available to talk you through the benefits of this game-changing and profoundly safe device, the BelayMate. The AAE 2018 will be taking place between 6-8 June, at the Hong Kong Exhibition and Events Centre. Clip ‘n Climb will be available on Booth 3335. For any further press information contact: Tlazard@entre-prises.com.